J.C. Tran entered November with the chip lead, more WSOP bracelets than and almost as many cashes as the rest of the table combined, but exited in a disappointing fifth place. 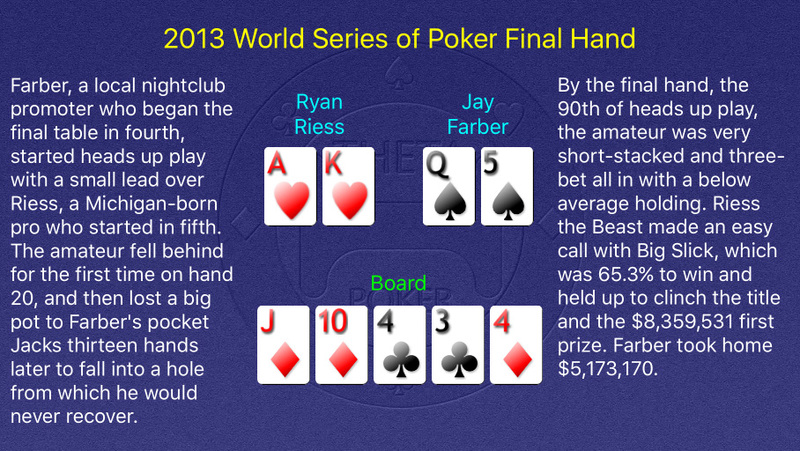 Riess’s second largest tournament cash was his first, a second place finish in a WSOP Circuit Main Event in Hammond, Indiana in 2012 for $239,063. During the November Nine delay, Farber cashed in the WSOP Europe €10,000 Main Event for $27,371.